Like new, 3 BD, 2.5 BA, ranch home with an amazing open floor plan, beautiful finishes and a smart, finished lower level that will wow you! This home offers 2,225 s/ft of living space (inc the finished LL) and has common ground on the side and across the street so no feel of overcrowding! 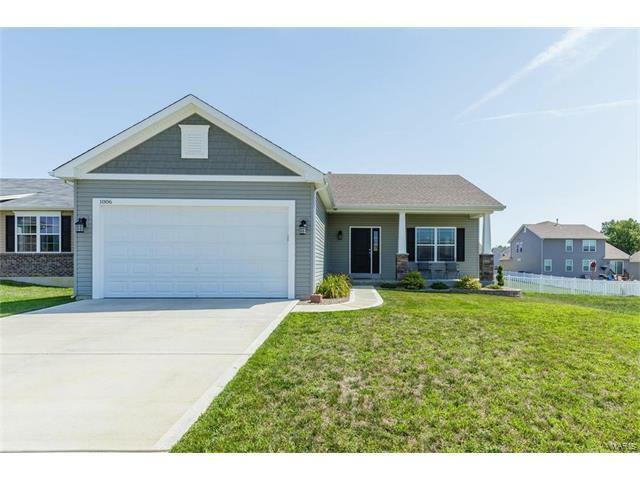 The ext has stone column bases, low maint vinyl siding, architectural shingles, encl fascia-soffits, a level yard w/a 4’ vinyl fence & a 16x16 patio. The garage has added depth (21’9”) and a garage door opener. Features inc 9’ ceilings, wood laminate flooring, st steel appliances, granite countertops, a raised brkfst bar, st steel backsplash, under cab lighting, W/I closet in the Mstr w/custom organizers, attic fan, wash sink in the Laundry Rm, water softener and more. Washer, dryer & 2 refrigerators are inc. Enjoy a community pavilion, lakes & playground. This intimate setting has a country-type feel yet is 7-10 minutes from Hwy 70, shopping & services. Qualifies for USDA Financing, check it out! Highway 79 North to Riverdale Park Drive to Left on Sweet River Dr.